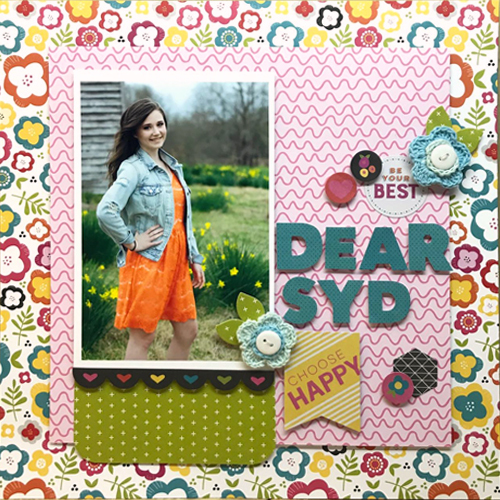 Happy February, Shellye McDaniel here with a sweet dimensional scrapbook layout featuring my girl, Sydnee. In the middle of the winter months, I thought it would be nice to change up to spring colors. It goes well with the picture, don’t you think? I chose bright patterned papers from a favorite collection. To reduce the busy-ness of the floral pattern paper base, I cut the pink wavy paper down 2 inches smaller than the base paper. From the start, dimension was added by attaching it to the center with Crafty Foam Tape Black. 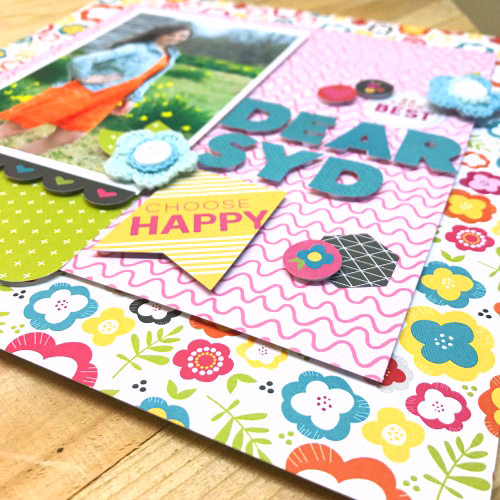 Next, I cut a strip of green dot paper to anchor the layout and added it to the bottom using the E-Z Runner® Grand Refillable Dispenser with the E-Z Runner® Grand Permanent Dots. It’s so easy to change out the E-Z Runner Grand Refills! Simply open, take out the refill inside and drop in the E-Z Runner® Grand Permanent Dots Refill! I’ll share the quick video below. To attach the scallop border sticker, I used 3D Foam Circles Black Mix. View a quick video on How to Use and Refill the E-Z Runner Grand Dispenser. See this short video on How to Use Adhesive Dots. 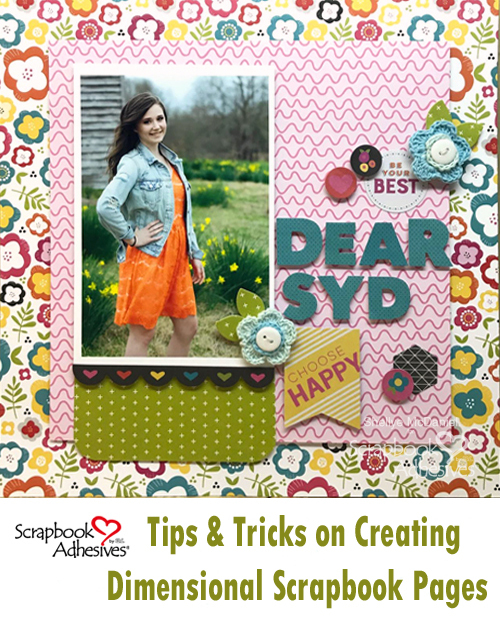 I love adding dimension to my page layouts and these adhesives are the best around! This entry was posted in 3D Foam Circles, Adhesive Dots & Lines, Adhesives, Beginner, Crafts & Tutorials, E-Z Runner® Grand, Permanent Adhesive, Scrapbook Page, Skill Level and tagged 3D Foam Circles Black Mix, Adhesive Dots 3D, Crafty Foam Tape Black, E-Z Runner Grand Dispenser, E-Z Runner Grand Permanent Dots Refill, Scrapbook Page, Scrapbooking, Shellye McDaniel. Bookmark the permalink.